LONDON — The Labour Party has launched its official general election manifesto. 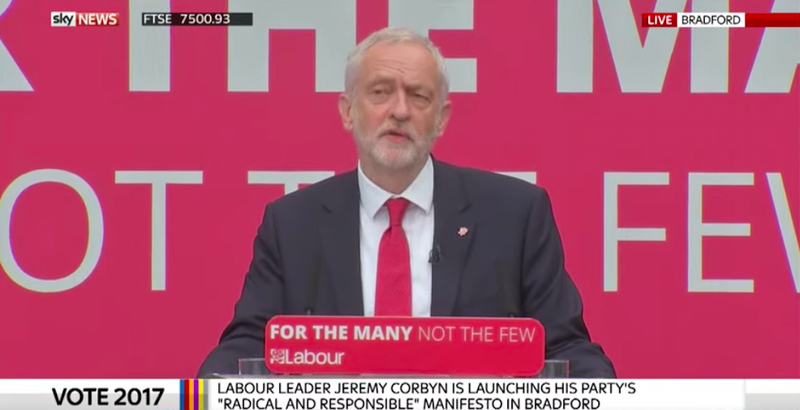 Speaking in Bradford on this morning, leader Jeremy Corbyn set out a number of policies, including the abolition of tuition fees, nationalising of the railways, and plan to raise the national living wage to £10 an hour by 2020. A Labour government would also build over a million new homes, put 10,000 more police officers and 3,000 more firefighters on the streets, and guarantee the triple lock to protect pensioners’ incomes, according to the manifesto.